Ken the Pen was the nickname Ken Shuttleworth earned at Leicester School of Architecture for his innate ability to draw far more quickly than anybody else. Going through Rotring nibs at an unprecedented rate, he says he owes his career to being able to draw, and draw quickly, from a young age. Catching up with Shuttleworth in Make’s London office, he flicks through his latest sketchbook, just a few days old and already brimming with sketches and ideas ready to be refined and shaped into new pieces of the city. Shuttleworth had spent three decades shaping the London skyline with some of Fosters + Partners most notable buildings when he left to set up his own practice, Make. In 2004, already with a successful career established, he was fuelled by a desire for something new, and Shuttleworth decided to go it alone. He was not alone for very long, however: ‘It was just me in the morning and then there was two by lunchtime, and there was about four by the evening,’ he recalls. Having already delivered Hong Kong Bank, City Hall, the Millennium Bridge and St Mary Axe (among many others), Shuttleworth would have been permitted to take with him a confidence that any company he started could take on the industry with ease. Yet it was only the added security of being offered 12 jobs on deciding to leave Foster + Partners that really cemented his confidence to set up on his own at all. Shuttleworth said: ‘I thought, “Well, I might as well give it a go on my own because, if it goes pear-shaped, three of them might still offer me a job” and literally that is the way I decided to do it.’ In the 14 years since, Shuttleworth has built a design empire that spans sectors and continents to bring the industry 68 buildings, and counting. Through Make’s network of studios, Shuttleworth has endeavoured to form a culture of collaboration and education. The ‘makers’ frequently have the opportunity to visit or move studios, allowing the company as a whole to learn from the different markets they are part of. With a much quicker pace in the Asian market, the Hong Kong studio facilitates plenty of opportunities to learn. ‘Everything happens faster in Asia so you have to be much quicker, more nimble. You are moving quickly from sketching to on-site so you have to get it right early on,’ says Shuttleworth. This culture of sta. self-development and improvement has been present in Make since the beginning. ‘The only real asset we have as a practice is our people,’ explains Shuttleworth. From the very start, Make was about all the staff and the contribution that everyone makes. Shuttleworth reflected this in Make’s business strategy, setting up as employee-owned and being the first architecture practice to do so. This desire to do things differently led Shuttleworth to adopt the John Lewis model: all staff have a say, a profit share and ownership. Shuttleworth happily signed away his ownership, placing shares in trust and, in return, everyone works together and helps each other, and consequently everyone is rewarded. For someone who came to the industry through a love of drawing, Shuttleworth has nevertheless embraced technology and all it can facilitate in practice. He looks forward to the onset of artificial intelligence and embraces what that means for the practice being able to draw in 3D. ‘A whole world will be created for us in the goggles,’ he says. Alongside this, through his presidency of the British Council for Offices, he has been pushing to digitalise its specification to provide a much more accessible platform that can be interrogated for information. 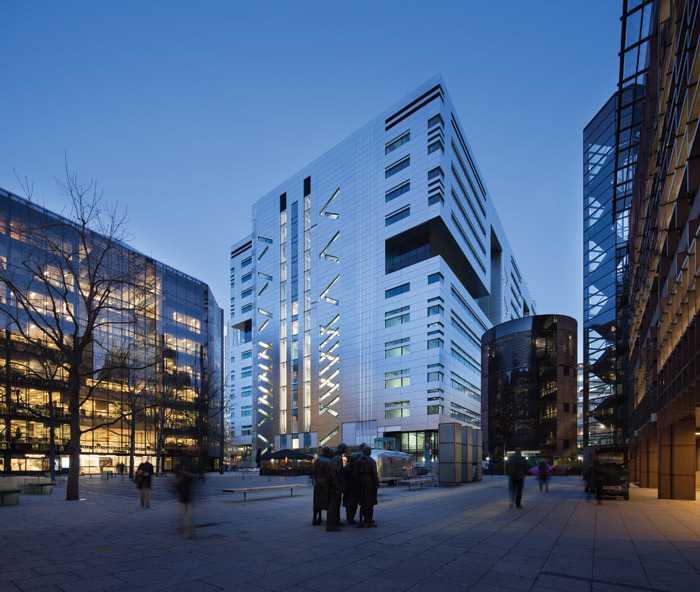 One of Make’s most recent successes is the completion of Rathbone Square, where he has praised the work of the developers, which he believes are too often seen as the ‘bad guy’. 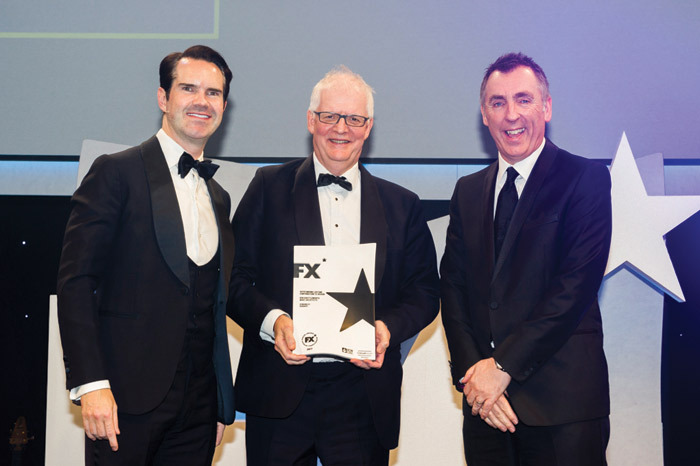 Despite receiving the FX lifetime achievement award, Shuttleworth shows no signs of stopping. He talks of the future with excitement and drive, looking to innovate towards a more sustainable industry. ‘We haven’t got there yet. We haven’t solved it. We haven’t got to zero CO2. We haven’t got to the most sophisticated way of doing a building yet. We haven’t got robots working properly. There’s more to do and it’s a very exciting moment’.